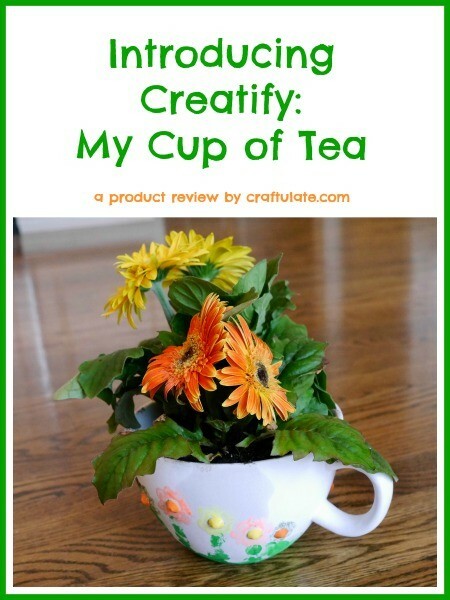 Here’s how we decorated My Cup of Tea from the new Creatify range, on sale now at Target. Disclosure: I was provided with this product from Horizon Group USA free of charge in exchange for my fair and honest review. Please see my disclosure policy. 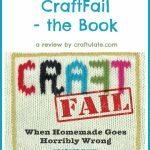 I am loving the new Creatify range of craft materials so much I am featuring a third product today! I have previously mentioned Glitz + Glam and Boxes + Baubles, and here is My Cup of Tea! These products are now on sale in Target and range from only $4.99 to $12.99. My Cup of Tea is an oversized ceramic cup that is just waiting to be decorated! We used the handprint fish as inspiration to turn the cup into a flower pot! We have just moved into a new house and I have a new kitchen windowsill just waiting to be filled! We used citrus colors to match the Kitchen Wall Art we made many months ago. We started by making green handprints around the base of the cup. F insisted on painting his own hand! With some help from me and a few applications of paint to his hand, we managed to get several handprints. When the paint had dried, we used some glitter glue from the All That Glitters pack to attach some little round plastic gems from the All Wound Up pack. Then we used the glitter glue to create flower shapes around the gem. When the glitter glue had dried, I planted some flowers in the cup! The cup looked SO pretty and it is a great keepsake! It would also make a great gift, too! Note: The cup is porous, so if you add soil and water please ensure you place the cup on a plate or saucer to protect the surface underneath. For more product information, check out the Creatify website and Facebook page!